Exim Integrated Club, an initiative to bring together Individuals from various Organizations from �Shipping & related services Industry� � namely, Freight Forwarders, Customs Brokers, CFS Operators, 3PL Operators, Shipping Lines, NVOCC�s, LCL Consolidators, Transporters etc.,� to a single platform with the objective of Sharing information, knowledge, Contacts and connections, Promote & encourage good practices, stop bad practices, highlight / alert defaulting Companies (Shippers, Consignee�s & Industry players within) to bring in transparency. While Government Of India�s has recently awarded Infrastructure Status to Logistics (Warehousing) & Transportation, a similar status for all those involved in International Shipping consisting of company types mentioned above, is still a grey area depriving many benefits for a segment of approximately 50,000 Companies employing 70 Lakh+ people on pan India basis. After its successful get together of members at Pune, their Mumbai counterparts� get-together held at Tunga Reganza, Vashi on 16th February�2018 with the initiative of Mr.Srikant Bhagavatula. It was a grand success with the presence of 200+ Members. The event was chaired by Capt. S. Hajara, Ex-CMD � Shipping Corporation Of India who shared this experience, knowledge, wisdom and future pointers of Shipping industry with the members. Mr.Vinod Sharma � President Pune Customs Broker Association & Treasurer FFFAI, has also shared their views, information & knowledge with future trends. Mr.Shantanu Bhadkamkar � Chairman � IFCBA (International Federation of Customs Brokers Association) gave a talk on the future tidings at Exim Integrated Club, Pune�s 2nd Get Together held last month. There was an unanimous appreciation of the initiative called �Exim Integrated Club� and that it has been the much needed requirement for Shipping Industry as a whole to come together. The event was co-sponsored by M/s. Swift Line Global Logistics Pvt. Ltd. & Connex Container Lines Pvt. Ltd. (NVOCC), KD Supply Chain Solutions Pvt. Ltd. (3PL), Royal Tech Systems Pvt. Ltd. (IT), TG Terminals Pvt. Ltd. & Keavy Global Logistics Pvt. Ltd. (CFS Operators). This itself well emphasises the essence in the Backdrop of Different people (depicted in various colours) coming together for the benefit of the Industry. Panel member Mr. Neelkant, proposed registering Exim Integrated Club, explaining the benefits of Registered Entity would bring all members and invited the member�s suggestions in this regards. 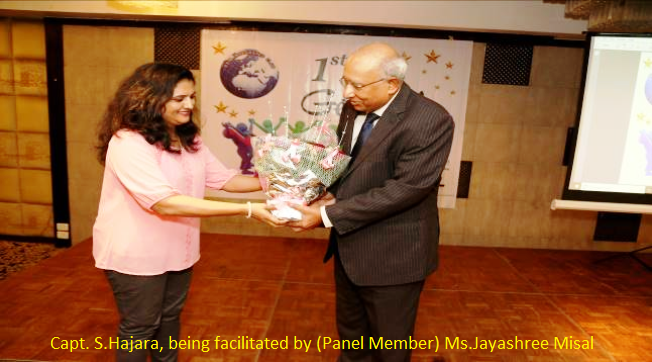 The event organization was led by Mr. Shambhu Singh with strong support from other panel member Ms.Jayashree, Nirav & Lingaraj. . The total number of members for the club in Mumbai is growing over 350 due to its popularity.